What is a Certified Green Gardener? Monterey Bay Certified Green Gardeners have completed a minimum of 20 hours of practical instruction in ecological landscape practices that conserve water, reduce waste, and prevent urban stormwater pollution. After completing training, Green Gardeners must also pass a qualification exam. By hiring a Green Gardener, you’ll know that you are hiring someone who has been trained and tested in Monterey Bay Friendly Landscape management practices. You will be working with a professional who has invested their own time and money to learn from their peers and expert trainers about landscape irrigation efficiency, low-maintenance landscaping, water-wise plant selection, watershed health, fertilizer management, less-toxic pest management, and much more. The Certified Green Gardeners listed below have valid business licenses and/or are an employee or owner of a company with a valid contractors license from the California Contractors State Licensing Board. How Do I Find a Green Gardener? Click on the link below to find a Certified Green Gardener in your region. Advanced Green Gardeners have completed a minimum of 40 hours of hands-on instruction and passed the Green Gardener certification level exam. Qualified Landscape Water Managers have completed 21 hours of instruction in efficient irrigation system management. 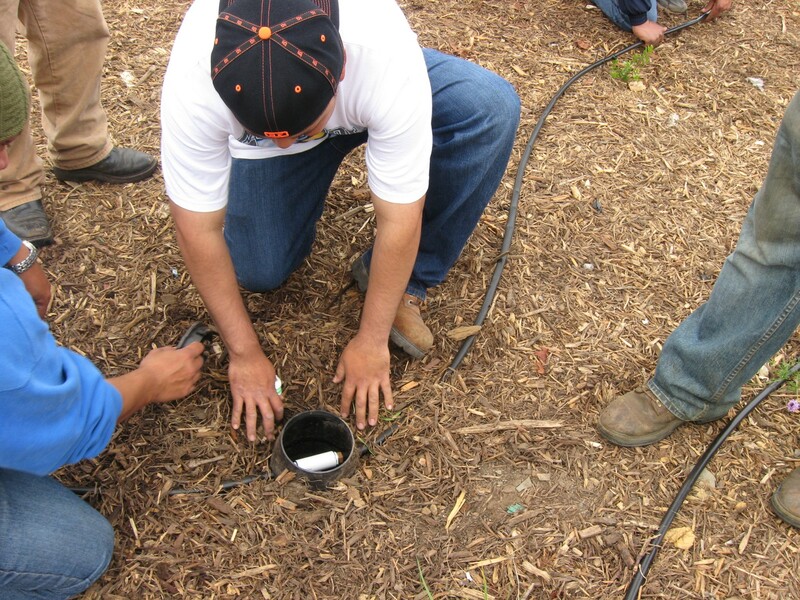 Certified Graywater Irrigation Installers have achieved more than 80% on a written exam and completed 55 hours of hands-on instruction, including the installation of one laundry to landscape system and one permitted branched drain graywater system. CLCA Certified Water Managers must pass a written test, complete an irrigation audit, and demonstrate proficiency in keeping at least one landscape site on an annual water budget. Certified Landscape Irrigation Auditors are certified through the national Irrigation Association and must pass a written exam, submit a completed irrigation audit, and complete 20 hours of continuing education every two years. Have Questions About the Green Gardener Certification Program? Click here to learn more.